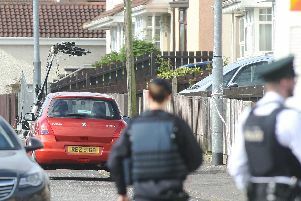 Foyle police are appealing for witnesses to an assault in the Fountain Estate, in the early hours of Saturday, May 16, which is being treated as a sectarian hate crime. At 2.30am as two men in their 20s were walking at Wapping Lane, they were attacked by a group of around six to 10 unknown males. Both men were taken to hospital for treatment to non-life threatening injuries. The police say the incident is being treated as a sectarian hate crime. Inspector Les Craig appealed to anyone who witnessed the assault or has information to contact police at Strand Road on the non-emergency number 101, or Crimestoppers on 0800 555 111.